Makin' Maki Sushi Round Up! Kristin joins us to share her spring rolls and california rolls for her first every blogging event! 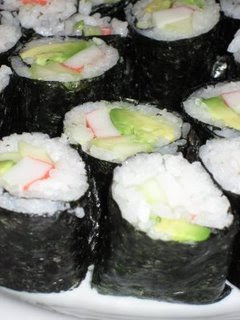 Kristin recently learned how to make maki sushi from a friend, Masako. 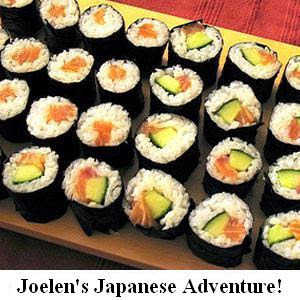 Check out Kristin's blog for the recipes Masako shared! Lalaine joins us to share a beautiful dish of Sculpin Fish. Not familiar with this kind of fish? Check out Lalaine's blog for more info and the recipe of this tasty dish! I found you through a friend of mine's blog! Wow! Look at all that YUMMY sushi! Never knew how to make it before! Might have to give it a whirl one of these day!!!! All of that sushi looks incredibly gooooood! I haven't had red bean ice cream in far too long. Everything else looks great too! Cool! I really want to make sushi soon. I've never tried making sushi but you guys did such a fab job! 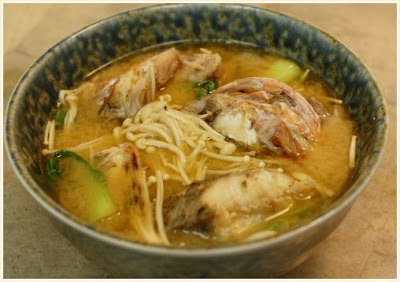 Can't help myself but drool in front of this Sculpin Fish in Miso Broth, I love this type of soup!!! I have always wanted to try making my own sushi. We even got some sushi dishes and chopsticks for our wedding 3 years ago that have only been used for sushi take-out... you have inspired me to set up a time with friends to try our hand at making sushi ourselves! Oh nice post! I loved this recipe. I am going to try this Sushi today.